What really happened in Benghazi? Journalist and author Mitchell Zukoff says he knows. 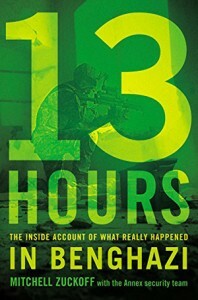 In his extraordinary book 13 HOURS, THE INSIDE ACCOUNT OF WHAT REALLY HAPPENED IN BENGHAZI, co-written with the surviving American security operators who fought that fateful night September 11, 2012, against the attack by Islamic militants on the US State Department Special Mission Compound and a nearby CIA station called the Annex in Benghazi, Libya, Zuckoff presented for the first time ever the true account of the events and offered a step by step look at how they unfolded. 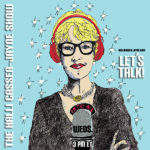 The basis for the blockbuster film, 13 HOURS, the author of the book joins Halli at her table on The Halli Casser-Jayne Show for an in-depth conversation, Wednesday, January 20, 3 pm ET. Mitchell Zuckoff is a professor of journalism at Boston University. His books include FROZEN IN TIME: AN EPIC STORY OF SURVIVAL about a US military airplane that crashed on the Greenland glacier during WWII, the subsequent hunt for the plane and Zuckoff’s own role in helping to find the plane buried in the ice decades later and LOST IN SHANGRI-LA. Zuckoff received a master’s degree from the University of Missouri and was a Batten Fellow at the Darden School of Business Administration at the University of Virginia. Zuckoff’s magazine work has appeared in The New Yorker, Fortune and elsewhere. Written from the perspective of the surviving members of the security team who were involved in the fighting, Zuckoff insists the Benghazi contractor’s story is credible. 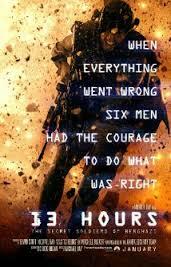 You decide when Mitchell Zuckoff, bestselling author of 13 HOURS, the basis for director Michael Bay’s new controversial film, 13 HOURS, talks with Halli on The Halli Casser-Jayne Show, Wednesday, January 20, 3 pm ET. For more information visit Halli Casser-Jayne dot com. It is 70 years since the liberation of Auschwitz by Soviet soldiers and still stories of the Holocaust remain untold. Two of those stories are brought to light thanks to the miracle of film. Joining Halli at her table on The Halli Casser-Jayne Show, Wednesday, May 27, 3 pm ET are the producer and the director of the film ABOVE AND BEYOND, Nancy Spielberg and Roberta Grossman. 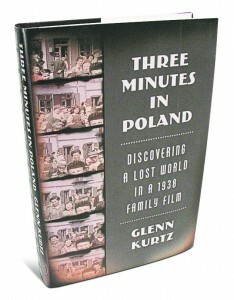 And author Glenn Kurtz who uncovered a family treasure which shows the remarkable footage of his grandfather’s birthplace in a Polish village filmed in 1938 prior to the outbreak of World War II, the story of Glenn’s efforts to discover what happened to the people in the film as told in Glenn’s award-winning book THREE MINUTES IN POLAND. ABOVE AND BEYOND, THE BIRTH OF THE ISRAELI AIR FORCE is produced by accomplished businesswoman, fundraiser and philanthropist, Nancy Spielberg and directed by award-winning filmmaker Roberta Grossman, who has produced more than forty hours of documentary film and television, including HAVA NAGILA and BLESSED IS THE MATCH: THE LIFE AND DEATH OF HANNAH SENESH, which was short-listed for an Academy Award. ABOVE AND BEYOND tells the moving and powerful story of a group of World War II pilots, mostly American, who risked life and limb to volunteer to fight for Israel in the 1948 War of Independence. Glenn Kurtz, a graduate of the New England Conservatory-Tufts University double degree program who holds a PhD from Stanford University in German studies and comparative literature and whose writing has been published in the New York Times, Salon, Southwest Review, and elsewhere. 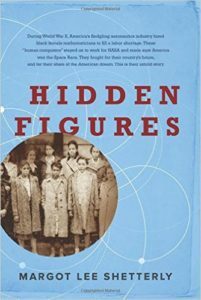 In THREE MINUTES IN POLAND, DISCOVERING A LOST WORLD Glenn recounts his four-year journey to identify the people captured in his grandfather’s haunting images, and introduces us to seven survivors of Hitler’s scourge. Untold stories of World War II with Nancy Spielberg, Roberta Grossman, Glenn Kurtz on The Halli Casser-Jayne Show, Wednesday, May 27, 3 pm ET. For more information visit Halli Casser-Jayne dot com. Hooray for Hollywood and hooray for the Oscars! 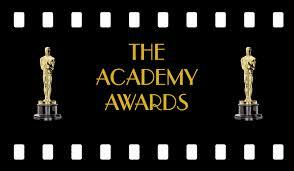 This year’s 87th Academy Awards is the subject of The Halli Casser-Jayne Show, Wednesday, February 18, 3 pm ET. Joining Halli at her table are Betsy Sharkey, esteemed film-critic for The Los Angeles Times, director/writer/producer Charles Matthau, and stage, film and television actor currently starring in the Peabody Award winning TV drama SWITCHED AT BIRTH on ABCFamily, D.W. Moffett. Los Angeles Times film critic Betsy Sharkey is an award-winning entertainment journalist and bestselling author. She began her career as a feature writer for the Dallas Morning News and has since written for The New York Times, TV Guide and Esquire among others. She is a member of the Los Angeles Film Critics Assn., the Society for Professional Journalists and Cinema for Peace’s international jury. She holds a degree in journalism and a master’s in communications theory from Texas Christian University. American film, TV, and theater actor D.W. Moffett’s film credits include Bernardo Bertolucci’s Stealing Beauty, Steven Soderbergh’s Traffic, for which he won a Screen Actors Guild Award and Thirteen. Onstage, he has appeared opposite John Malkovich in Balm In Gilead in New York City, opposite Brad Davis in Larry Kramer’s The Normal Heart, opposite Matt Dillon in Boys of Winter, and was most recently seen on stage at the OldVicTheater in London, playing opposite Kevin Spacey in The Philadelphia Story. Director, writer, producer, actor and raconteur Charles Matthau was weaned on film. His father was actor Walter Matthau. He appeared as a child actor in such films as Charley Varrick, The Bad News Bears and House Calls before he turned to directing with The Grass Harp, from a novella by Truman Capote, and the made-for-TV movie The Marriage Fool. A graduate of the film school at the University of Southern California, Matthau also directed Doin’ Time on Planet Earth, Her Minor Thing, Baby-O and Freaky Deaky starring Christian Slater. No one gives a party like Oscar, except The Halli Casser-Jayne Show. Join us for our Oscar celebration, February 18th 3 pm ET. 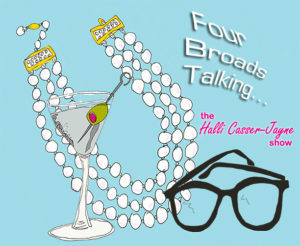 The party takes place at Halli Casser-Jayne dot com.